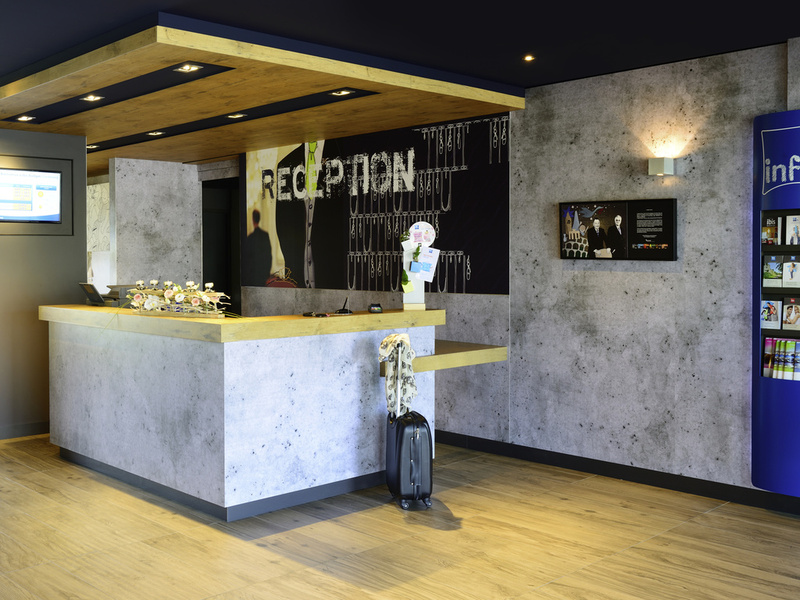 The new-generation ibis budget Cherbourg-en-Cotentin hotel offers 72 rooms for 1 to 4 people, including 6 new and inviting family rooms. Unlimited buffet breakfast. Its location next to the ibis hotel provides access to the restaurant, bar and free private car park. Canal+ and free WIFI. Ideally located in the north of the Cotentin Peninsula, close to the ferry terminal and SNCF train station. Visit the city center and the Cité de la Mer museum and its legendary submarine, just 10 minutes away. The restaurant is open every evening from 7pm to 10:30pm. The bar is open 24 hours a day.